TeslaThe Tesla Semi has impressive features. 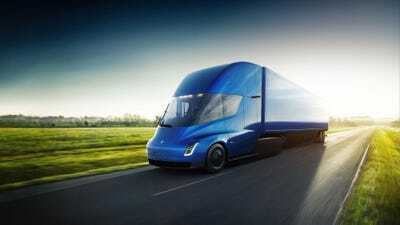 On Sunday, the furniture retailer City Furniture announced on Twitter that it had reserved five TeslaSemis. City Furniture joins major companies like Pepsi,Walmart, and Anheuser-Busch as early customers for Tesla‘s new electric trucks. Some were sceptical of Tesla’s ability to break into the trucking industry. Tesla has received a new customer for its electric big-rig,the Semi.